The Pentagon has heavily invested in 2.75-inch precision laser-guided rockets that are usually fired from attack helicopters. But now, BAE Systems' Advanced precision kill weapon system (APKWS) transforms an unguided 2.75-inch rocket into a precision-guided missile, gives warfighters a low-cost surgical strike capability, can be fired from ground-based vehicles or static remote outposts for base defense, said Defense News. 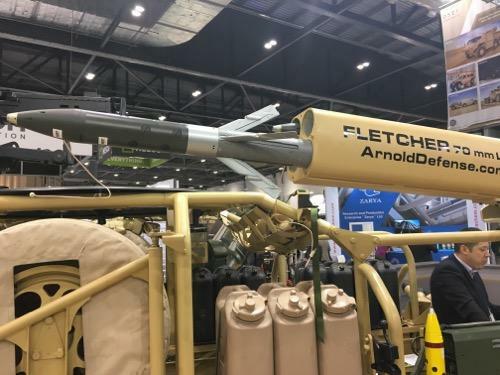 The Fletcher laser-guided rocket launcher system was spotted earlier this year on top of an Oshkosh Special Purpose All Terrain Vehicle, at a defense conference with a BAE APKWS, positioned in the launcher. St. Louis, Missouri-based Arnold Defense is the primary manufacturer of the launchers for the US military's 2.75-inch rockets mounted on fixed and rotary wing aircraft, said Scott Amos, a program manager for BAE. "They've [Arnold Defense] redesigned that technology into a ground-based launcher system," Amos said. 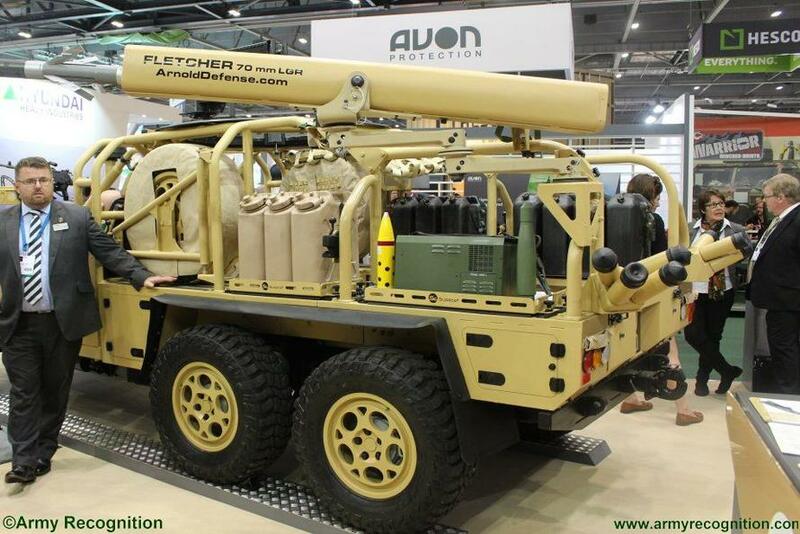 Instead of launching dumb rockets at the enemy in area-suppression missions, the Fletcher system with APKWS provides pinpoint accuracy of about 3.1 miles from a ground-based vehicle, according to Amos. He said multiple services had expressed interest in the new ground launcher. Earlier this year, the Fletcher launcher went through a proof of concept demonstration where the system was tested from a stationary platform, Amos added. Jim Hager, the company's CEO, recently told Defense News that his company is the only manufacturer of 2.75-inch rocket launchers since the 1980s. He said the defense industry ignored the rocket launchers for years because of accuracy issues, but when APKWS came around, all that changed. "A European special forces outfit was the first to understand the value of such a system, he said. The company along with its partners, have spent a year working closely with the outfit to create the concept that has culminated in the creation of Fletcher, he added. A special forces unit told Arnold Defense about a situation where it was pinned down by enemy fire from a mountain and only had a 60mm mortar system on hand. The unit couldn't get enough elevation to destroy the target so it could move on, and the team was pinned down until darkness when its members were able to exfiltrate undercover. With the Fletcher launcher, the degree of elevation is much higher, which gives it utility in an urban environment, too, Hager said, allowing it to point at tall buildings from close in," Defense News said. 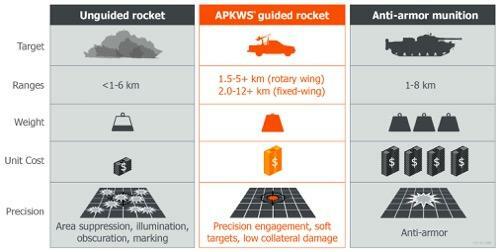 Before APKWS, operators of the rocket launcher had limited accuracy, "but now we have pinpoint accuracy, now we have a max effective range of about 4.97 miles," Hager said, adding that a new rocket is in development that could boost range to 7.5 to 9.3 miles. 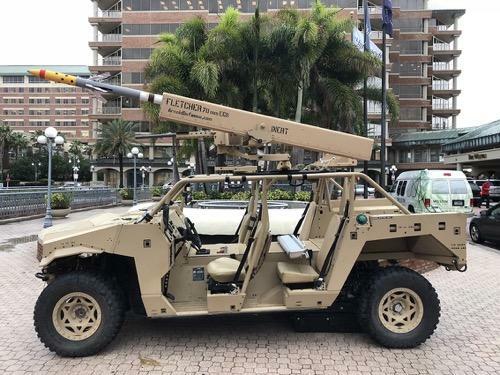 The company mounted the Fletcher launcher on an even smaller vehicle than the Oshkosh, dubbed the Polaris Dagor, it is known as the ultimate dune buggy by special operation forces. As the Pentagon continues to fight its hybrid wars across Africa and the Middle East, it does not surprise us that special operation forces have been using lightly militarized all-terrain-vehicles. 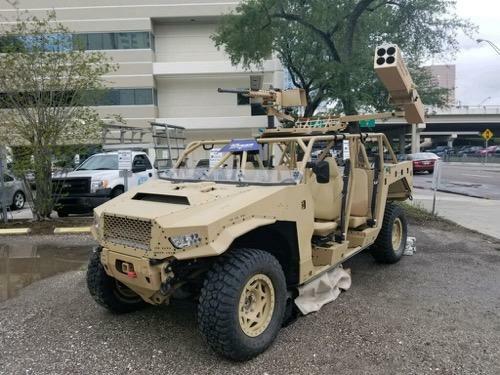 What is astonishing, is that these dune buggies can now fire laser-guided missiles that are generally found on attack helicopters.